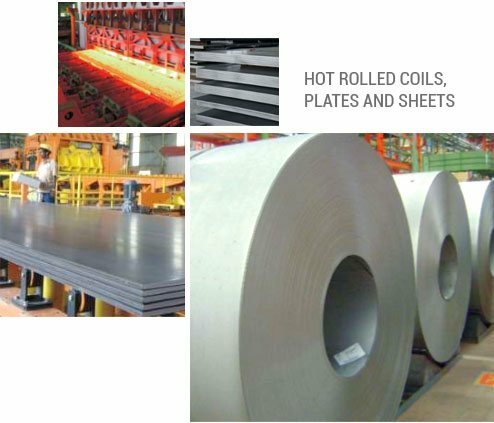 JSW Steel manufactures superlative Hot Rolled (HR) coils at its Hot Strip Mills (HSM), situated at Vijayanagar, Karnataka and at Dolvi, Maharashtra. The production of these coils involves the use of state-of-the-art equipment and manufacturing processes that ensure products of the highest quality. At Vijayanagar, HSM-I has commissioned capacity of 3 MTPA and HSM-II has commissioned capacity of 5 MTPA, equipped with sizing presses and an automatic line inspection facility. It is the widest Hot Strip Mill in India, capable of rolling upto 2150 mm. JSW Steel’s Dolvi unit in Maharastra has commissioned capacity of 3.6 MTPA . The Dolvi unit HSM uses a combination of the advanced Conarc Process and Thin Slab Casting technology, which facilitates the production of HR coils which are superior in quality due to their thinner gauges and finer surface quality. The convenient coastal location of the Dolvi unit allows easy access to the plant and makes the import and export of raw materials and finished goods extremely efficient. The Vijayanagar plant of JSW Steel is the first integrated steel plant to reach 10 MTPA capacity at a single location in India. It is the first plant in India to use the Corex technology for hot metal production. The first Hot Strip Mill at Vijayanagar was commissioned in 1997. Since then it has grown exponentially and now has an installed capacity to produce 10 MTPA of steel. Located 380 kms from Bangalore in Toranagallu, North Karnataka - a part of the Bellary-Hospet iron ore belt - it is a fully integrated steel plant well-connected with both Goa and Chennai ports.